The detailed regulations on the expenses and allowances for local and foreign travel of government personnel are contained in Executive Order 77 he signed last March 15. MANILA, Philippines — President Duterte has barred government personnel from going on junkets and has issued rules to ensure that the costs of official travels are reasonable. “All forms of travel junkets shall be strictly prohibited,” reads a part of the order, which prohibits government offices from conducting strategic planning workshops or team building activities abroad and discourages government personnel from taking a personal leave immediately before or after the official activity. Among the foreign travels authorized under EO 77 are international conferences or meetings to which the Philippine government has commitments or official assignments or missions that cannot be assigned to officials posted abroad; scholarships, fellowships, training and studies abroad that are grant-funded or undertaken at minimal cost to the government; and invitations for speaking engagements or receiving of awards from foreign governments and institutions or international agencies and organizations as defined under international law. For trips involving delegations, the approving authorities are expected to ensure that the number of participants is kept “to the barest minimum” and the role of each delegation member is clearly specified and justified. Official local or foreign travels and assignments will also be allowed if these are essential to the effective performance of an official or employee; required to meet the needs of the government office or there is a substantial benefit to be derived by the state; when the presence of government personnel is critical to the outcome of the activity, and the projected expenses are not excessive. The order also directed agencies to explore all forms of communications like teleconferencing and submission of position papers as alternatives to travel as long as they do not compromise confidentiality and national security. Duterte also limited the travels on business class travel to cut on government expense. While he allows department secretaries, undersecretaries, assistant secretaries and those of equivalent ranks to take the business class for long-haul trips or those flights exceeding four hours without counting layovers, they would need to get approval from the Office of the President for this. Government personnel who will not be provided with transportation by the host country or sponsoring organization have to take economy class, which does not include premium economy class. The order also requires government personnel to fully disclose official foreign trips that are fully or partially funded by private companies or individuals but disallows the personal or official travels that are funded directly or indirectly, fully or partially by private individuals including suppliers, contractors with pending requests or applications or future dealings with any government office. “The prohibition applies to invitations to travel purportedly to undertake study or assessment of the proponents’ capabilities,” the order read. 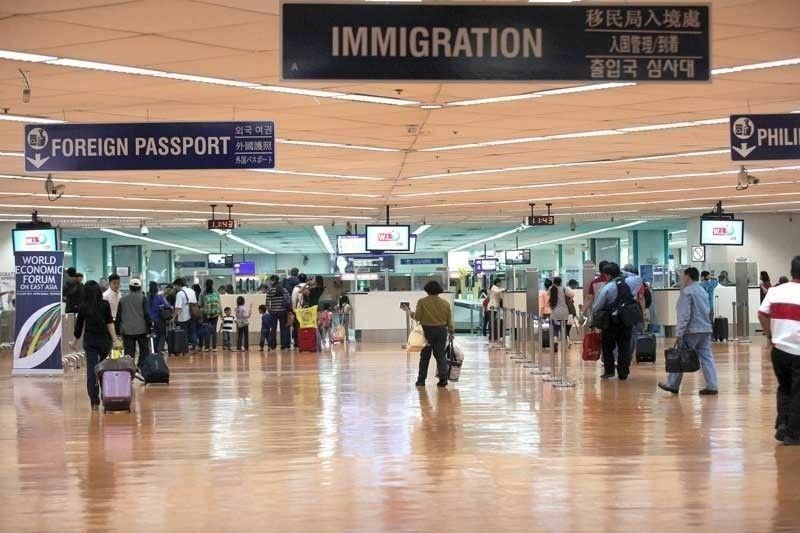 Private individuals, consultants or contractual personnel, and spouses or children of officials will not be given foreign travel authorities and will not be entitled to government funding. Contractual employees, however, may be exempted from the rule during “highly meritorious circumstances” like unavailability of qualified employees in specialized fields. The spouses or children of officials may also be entitled to state funding if permitted by diplomatic protocols or established international practices.